Habitual coffee drinkers often feel a special connection with their daily brew. But with intense consumer interest in where food and drinks come from, they don’t want their morning buzz to be tarnished with concerns that what’s in the cup came from impoverished or mistreated farmers, or that it was grown in ways that damaged the environment. As a result, the origin stories of coffee have become widespread, moving beyond boutique purveyors and increasingly into the mainstream. Mary Allen Lindemann and Alan Spear have followed that path. They’ve been selling coffee in Portland, Maine, since 1994. They started with a coffeehouse, and four years later began roasting their own beans. Today, their Coffee By Design brand has five retail locations and a robust wholesale and retail trade. 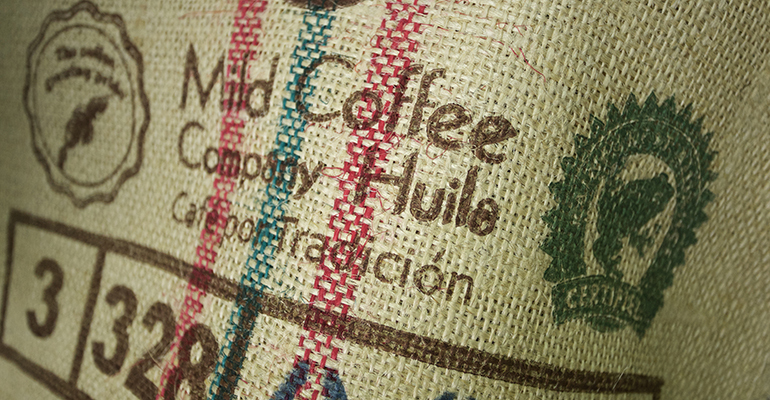 Since they started roasting, they have traveled all over the coffee-growing world. 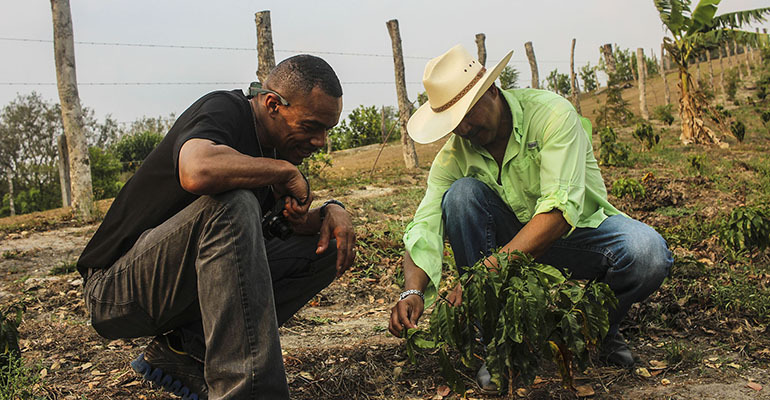 They’ve bought directly from local farmers and worked with communities to improve their lot by listening to what they needed and using the profits from their coffee sales to find ways to help secure financial or technical assistance, or to connect them with institutions that might be able to help them. “To me, it’s about trade, not aid,” Lindemann said. But she and Spear had a broader mission: They wanted to buy great coffee for their customers while also developing relationships with the communities they were buying from and working to improve their lives. Initially, they kept the second part of their mission to themselves. Now she’s enthusiastic in telling the stories of people they work with, such as Sunalini Menon, who started the India chapter of the International Women’s Coffee Alliance and sponsored a women’s brewmaster championship. Now Coffee By Design’s marketing highlights communities in Bolivia, Burundi and elsewhere that they’re helping. “We're making decisions for our customers and our staff,” Lindemann said, investing on their behalf in projects that support their growers, funded by proceeds from coffee sales. Coffee Manufactory, a new coffee roaster that’s a sister company of San Francisco-based Tartine Bakery, sources from fewer growers so they can get to know their needs better and buy their crops at fair prices. The roaster was founded by Chris Jordan, a 17-year Starbucks veteran who was the company’s director of coffee quality. He left in 2008 and moved to East Africa with his wife to work for TechnoServ, a development project funded by the Bill & Melinda Gates Foundation that seeks to improve coffee quality in Rwanda, Ethiopia, Kenya and Tanzania. Now he buys from many of the co-ops that were developed with the aid of TechnoServ. 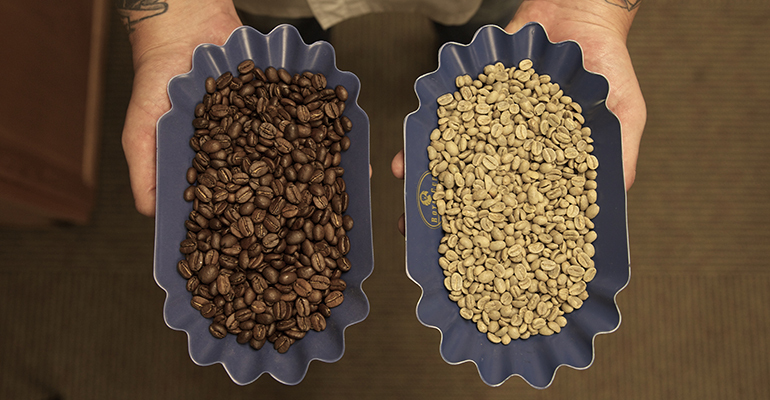 “As much as we’re a roaster, our sourcing platform is our primary focus,” Jordan said. New York City-based Café Integral, which has shops in New York, Chicago, Miami and Los Angeles, and a roaster in Brooklyn, N.Y., gets all of its coffee from northern Nicaragua, from friends of owner César Vega. “We work with about 15 small producers directly and people we know personally,” Vega said, buying in quantities as small as 250 pounds and generally no larger 4,500 pounds. That’s miniscule, especially considering that coffee is typically purchased by the 37,500-pound shipping container. Vega offers single-origin roasts available for six to 12 weeks, a change from the way Nicaraguan coffee has traditionally been sold. “Even until 10 years ago, all the producers in northern Nicaragua were being exported as one region,” said Vega, who’s originally from Nicaragua and who travels there to find farms that are producing unique beans. He has worked with processors to improve the quality, working on different stages of processing with each harvest. For example, some of the beans were dried and processed too quickly, damaging the coffee, “So what arrived [in the United States] was a shadow of what it was at its best moment,” he said. Vega went further down the processing chain to work on the wet milling of the coffee fruit, the seeds of which are what we call coffee beans. He said improving the coffee should improve the lives of those growing it. “The logic behind it, and there’s a big asterisk there, is that coffee that tastes better will pay better,” he said, and allow the farmers to live better. New coffee mills are popping up and more American importers are competing for the coffee. You don’t have to be a small roaster with intimate connections to coffee-producing companies to have a compelling story. Chick-fil-A introduced specialty coffee in 2014 to its more than 1,800 locations (it has since passed 2,000 units), using Thrive Farmers Coffee, which connects with farmers and co-ops that meet Chick-fil-A’s specifications and sells directly to the Atlanta-based quick-service chain. Thrive was co-founded by Kenneth Lander, now its chief sustainability officer, an Atlanta-based trial attorney who moved to Costa Rica and bought a coffee farm there with plans to retire. But his fortune was wiped out in 2008, when his bank collapsed, and he had to find a way to make his farm turn a significant profit. At that point, his 6,000- to 7,000-pound annual harvest sold for around $30,000, and his net profit was $600. He started selling coffee directly to tourists for $8 a pound, “and net profit went to 16 times what it was before,” he told NRN in 2016. Lander and co-founder and CEO Michael Jones have taken a similar approach in working with other producers in Costa Rica, Guatemala, Brazil and elsewhere, and brokering direct sales that cut out the middlemen. Getting larger companies to change their coffee offerings could have a tremendous positive impact on growers, he said. “Something that’s a blink of an eye on your P&L [at a large restaurant group] is something that you could flip a switch and impact thousands of lives, and have better coffee,” Lander said. Reid Nolte, director of marketing and brand strategy for 88-unit PJ’s Coffee, based in New Orleans, started working directly with farmers in 2016. “It turns out we get a better product,” Nolte said. The first group he worked with was Finca Terrerito in Honduras, and this year he brought on a new coffee line from Agua Fresca in Nicaragua. The process has a positive impact on the lives of the farmers, “and it gives us more of a purpose with our coffee,” he said. Roast master Felton Jones goes directly to the farms and examines the coffee plants as they mature. “He’s keeping a close eye on the product that he knows our customers are drinking in the near future,” he said. “People want to know where the product is coming from, and the fact that we can really say from farm to cup, we know exactly where it’s grown, where it’s being harvested, where it’s roasted and where it’s consumed. The latest chain to take on a more intimate coffee-sourcing approach is 200-unit breakfast, lunch and brunch concept First Watch, based in Bradenton, Fla., which partnered with supplier Royal Cup to connect with Mujeres en Café (Women in Coffee), an organization of female coffee growers in the Huila region of Colombia. Corporate chef Shane Schaibly flew to Colombia to meet the growers on the mountainside where they work. Many of them had lost family members during years of unrest in the country, he said. First Watch began selling the coffee under the Project Sunrise name in early January. CORRECTION Feb. 1 2018: The last picture in this story was previously inaccurately attributed. The picture is from PJ's Coffee.